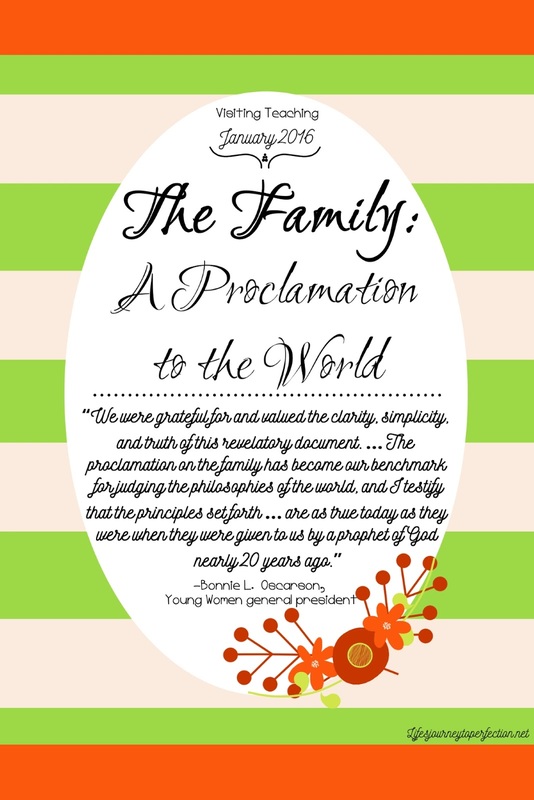 Each time I read through, "The Family: A Proclamation to the World", I am touched by the Spirit. It just makes complete sense. We know that we lived spiritually before we came to this earth. Our Father in Heaven is the father of our spirits, we also have a mother in heaven who along with our Heavenly Father, created us spiritually. We along with the rest of God's children are a family. Then, Heavenly Father sent us here to earth, in what? In families! There is no mistake that God created male and female, united them in marriage and commanded them to multiply and replenish the earth. 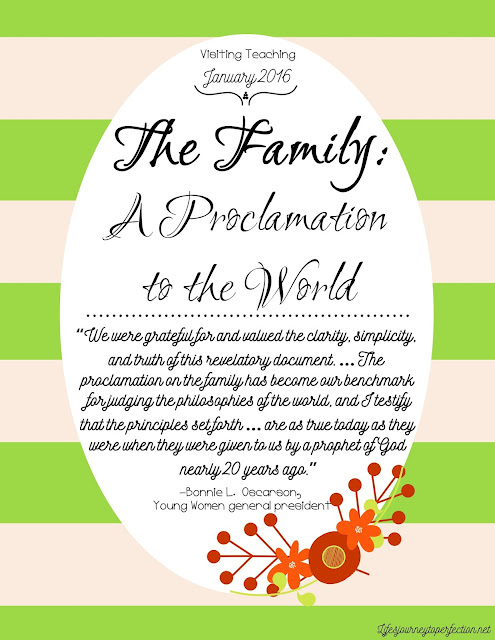 I love this quote from the proclamation, "...the family is central to the Creator’s plan for the eternal destiny of His children." 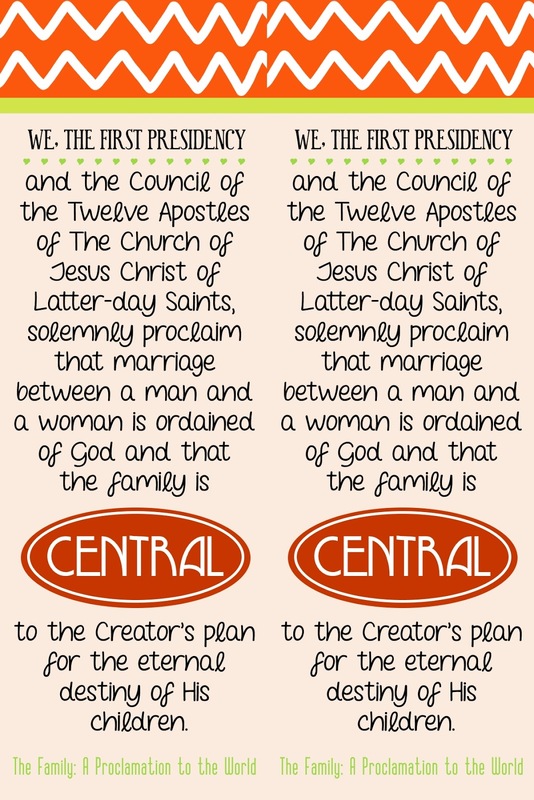 Central to God's plan!! Or we could say essential and necessary. No wonder the adversary tries so hard to diminish the importance of families, to destroy families, and to confuse the hearts of men in regards to families. He knows the importance of families to our Heavenly Father's plan. I am grateful for my Heavenly Father and the guidance that He gives us through our prophets. 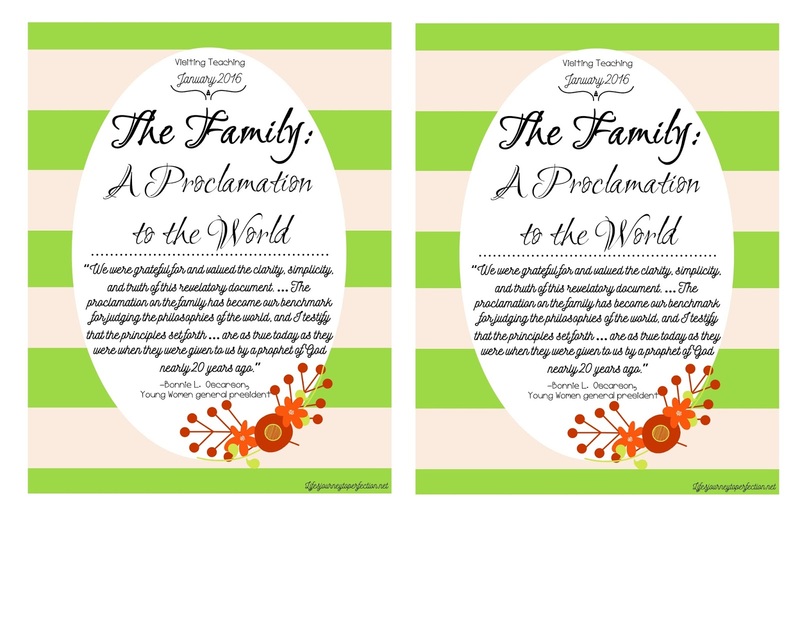 The guidance provided in "The Family: A Proclamation to the World" stands as a beacon in an increasingly darkening world. 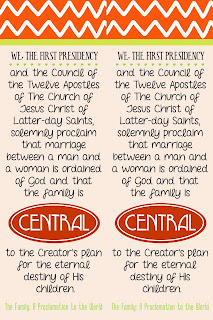 It's council is essential for our day. Fabulous again. Will share later in the week. I don't want my ward to get sick of me! Looks great, Kim! I love the Proclamation. We are so lucky to have the proclamation. Thanks for another great printable. So extremely blessed to have it :) Thanks!